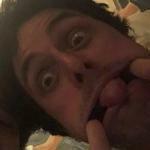 Does Billie Joe go on GDA? Yes and I think his username is hym.jarred. I think so too. How could one in his position resist? I just received your letter and this is my response. I don't write music for parents, grandparents or eight year olds. I write for myself and I'll say anything I damn well please. That's the difference between you and me. I do what I want... You do what you're told. Obviously, we're not on the same planet, let alone the same ball park. I find people like you offensive and it "helps me" to know you won't be buying any more of our records. Next time, I suggest you do a little research before purchasing such "rubbish" for your little boy. It might save you a few extra bucks. P.S. You're right about one thing.... You do have a big mouth." What do you think I've been googling for the entire past hour????? I busted @BillnTed cover last summer and proved it was Billie. Well, I'm 99% sure it was him. 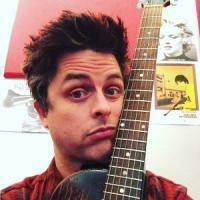 Just like the Jay Jameson on Facebook who contacted the Green Day Brazil page. It was also him. Now would be a cool time for him to join as himself, and join in the conversations. Would it make a difference in the things you post? Would you be less honest, or at least less critical if he were on here everyday, responding to things we talk about? 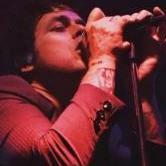 I would continue with my crazy theories about what Green Day could do in the future. I think he would find them funny. Oh man, that would be so awesome if he were on here, and would just respond to all of us. But we are many, and he would drive himself nuts trying to keep up. But then....he could write an album about us. We could be his personal demons on the new record! It could be a positive thing, it could kind of take something away from the creative process. In the end, an artist needs to listen to themselves and not their audience. Sure, they wouldn't be on top if it weren't for us, but they are the artist. 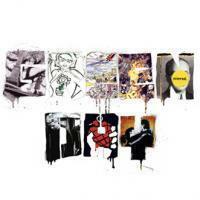 I get worried when bands let fans decide what songs go on an album, or what direction they should take. The band should be able to do those things. Granted, it would be fun as heck to be involved in a Green Day record, but should a line be drawn? Should we go into the studio with them and demand certain sounds, decline certain others? But over all, don't MOST of us on here enjoy all their work? Although I could be wrong I always thought it sounded like they were talking about their official site (Idiot Club/the Idiot Club forum) there, if for no other reason than it seems more likely that's the one they'd know about/find/think of/go to first, especially as far back as 2004. Also it depends on how into looking up stuff about themselves they are. They might've visited here occasionally for a laugh but they don't necessarily have any interest in doing it regularly. They obviously know of GDA/GDC as it's a big fan site that their management has been in contact with, and they've met a few of the GDA team, and Tre's mentioned looking at his GDA info page before and there's the tweet above from Billie after meeting Andres etc. But as far as GDC goes other than Bill Schneider visiting to post info at times and Mike's screenshot there isn't really any evidence of Billie or Tre visiting the forum at all or of any of them visiting regularly as far as I know.